Cape Town - Kaizer Chiefs coach Ernst Middendorp believes Hendrick Ekstein should remain at Naturena and not consider a move elsewhere based entirely on money. Middendorp is a firm believer in Ekstein's ability and said he is one of the finest players he has ever coached during his long career. Currently, Ekstein is waiting for Chiefs to come back to him with an improved contract offer after he initially was not happy with the terms offered to him in a previous offer made by the club. However, the German has urged him to put pen to paper adding that he was a major part of his plans for the future. "And when I came, I had the same impression on the field, December 9, I thought, 'Jesus!' 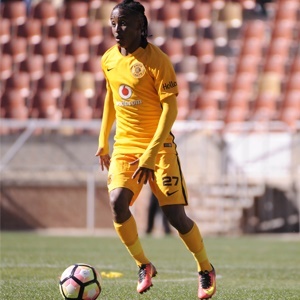 But by accident he came on in the second-half [against Mamelodi Sundowns in January] just because Philani Zulu was knocked out. "Good but, when he played, he had one or two games, mainly in the starting line-up but was still a little confusing in terms of where he's going. "But If I were him, having started at [age] 24 and at 28 there's for the first time in his life somebody on the technical team side who believes in his quality, he will probably have another five years to go, the idea to change and go somewhere else would be my last thought. "I would really do everything, but okay, players have consultants with their agency and their uncles, and sometimes think to have R10 extra per month makes a big difference, but anyway. "He should probably follow other examples who changed, went to other clubs and thought the grass on the other side is greener, and all of a sudden after two months they scratch their heads and call to ask, 'Can I come back?'"